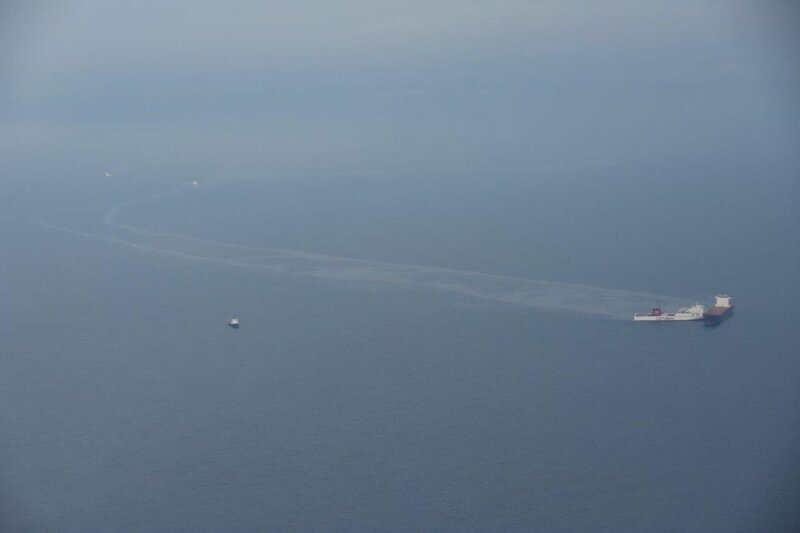 Authorities in France and Italy are responding to a major oil spill after a ferry collided with an anchored container ship in the Mediterranean Sea off the island of Corsica. The collision occurred Sunday morning when the Tunisian roll-on/roll-off ferry Ulysses collided broadside with the Cypriot registered containership CLS Virginia approximately 17 miles (28 km) north of Cape Corsica. The collision caused a breach of the container ship’s hull measuring several meters and resulting in the release of bunker fuel. An oil spill measuring 20 km long by several hundred meters wide has been observed moving to the northwest, moving away from Corsica, according to France’s Maritime Prefecture for the Mediterranean. 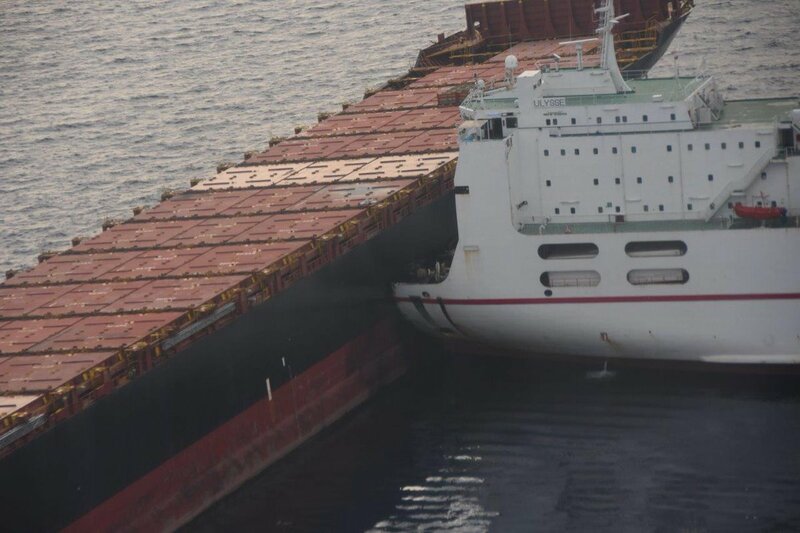 Photos show the bow of the ferry embedded in the starboard side of the container ship, which is not loaded with any containers. Both French and Italian assets have been dispatched to assist with the cleanup and response to the oil spill.